About Us The Ojai Lumber Company is locally owned and operated. 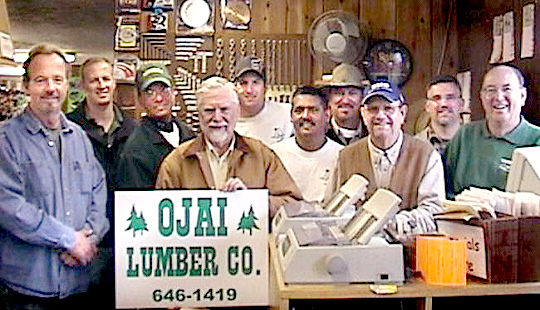 Ojai Lumber Company started in 1947 at its present location. At the time there were two other lumber yards in the valley. Ojai Lumber has been the only lumber and building materials business located in the Ojai Valley since the early 1980’s. 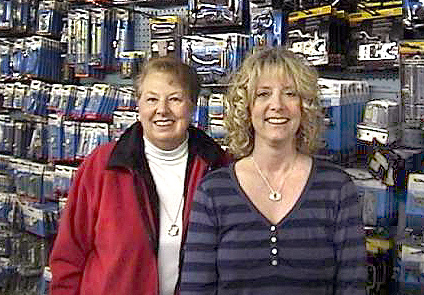 Over the years the business has grown from supplying just lumber and plywood. We now can provide almost every thing you need to complete any project from a tree fort to a large commercial building. We're Involved! The third generation of the second family to own Ojai Lumber. Form materials, sand and gravel, rebar, cement, treated lumber, framing lumber, plywood, orientated strand board, Simpson hardware, fasteners, insulation, drywall products, windows, doors, sidings, roofing, paint and stains, moldings and a large selection of hardware are now available at Ojai Lumber Company. The co-op has over 60,000 items in stock that can be ordered weekly through our store or on line. Products not stocked by our suppliers can be ordered directly from the manufacturer in most cases.